Providing Acoustic Treatment on Turnkey Basis With Audio-Video Services. It is said "different speakers speak differently". It means that every speaker is designed for a certain type of music. If you are watching action movie or prefer Rock music the speakers are different from the one designed for romantic movies and music. With thorough understanding of this business industry, we are engrossed in providing Room Acoustic Treatment Services to our clients. Due to our personnel’s knowledge, we are able to meet the detailed needs of the clients within the given period of time. We have adroit employees, who offer these services in agreement with the defined guidelines. Due to prosperous industry expertise and practice, we are rendering Room Acoustic Treatments Service to our customers. Due to on-time completion, our service is enormously well-liked in the market. Our rendered service meets on customer’s demand. Being a well-known organization, we are offering an attractive range of Home Acoustic Treatment. The provided treatment services are highly admired for its attractive results, timely completeness, accurate solution, and high performance. Apart from this, our customer can avail these treatment services from us in different plans. Using above treatment with Panels of size 2ft x4ft having perforated hard boards as surface material providing acoustical aperture and rockwool / glasswool as main acoustic material. We are amid one of the eminent business names affianced in the business of providing to our patrons a wide spectrum of Acoustic Treatments. These are widely applauded and acclaimed owing to their high performance and reliability. More to this, these could be availed form us at affordable rates in multiple provisions. 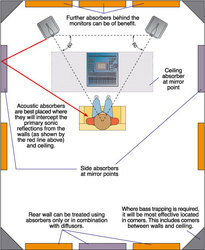 Conference Room Acoustic Treatment services are providing by us to our clientele. This Conference Room Acoustic Treatment services helps in making the conference room private and noise free. Also, our services are provided by using latest technology for maintaining its effective results. We are engaged in offering Conference Room Acoustics that are designed as per the prevalent industrial norms. Moreover, we manufacture conference room acoustic panels with chemically treated edges and number of shapes & sizes. Supported ourselves with sound amenities, we are readily occupied in presenting Acoustic Treatment Services. Rendered by some of the enthusiastic and dedicated personnel, these services could be availed from us at most cost-reasonable rates. To add, these services are commended enormously for their on-time completion and ability to get altered as per our customers’ altered needs. Acoustic tiles are special category tiles used for the purpose of reducing the echo. This category has number of variety in tiles used with Glass wool or Acoustic foam. This is generally used in Theaters, Auditoriums, Seminar Halls, Multi-purpose halls, etc. Acoustic tiles reduces the echo in the room area and helps in creating an echo proof area. We do all types of Soundproofing treatment for studios, Class rooms, Dance class, Home theatres, Offices, Hotels etc at economic rates. 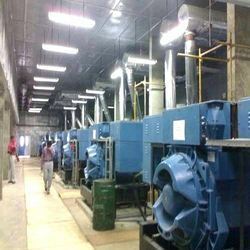 Normally buildings which house noisy machines such as Compressors, Diesel Generators, etc., are Acoustically treated to, Reduce Reverberation Noise inside the building. Reduce the noise outside the building within the required level. This is achieved by Acoustic Paneling of walls and roof, providing Sound Proof Doors and Double Glazed glass windows, Silencers and Ventilation System. We started Acoustics to provide a reasonable alternative to the high prices on other acoustics brands. We personally engineer each listening room, home theater, and audio space for maximum accuracy and entertainment.